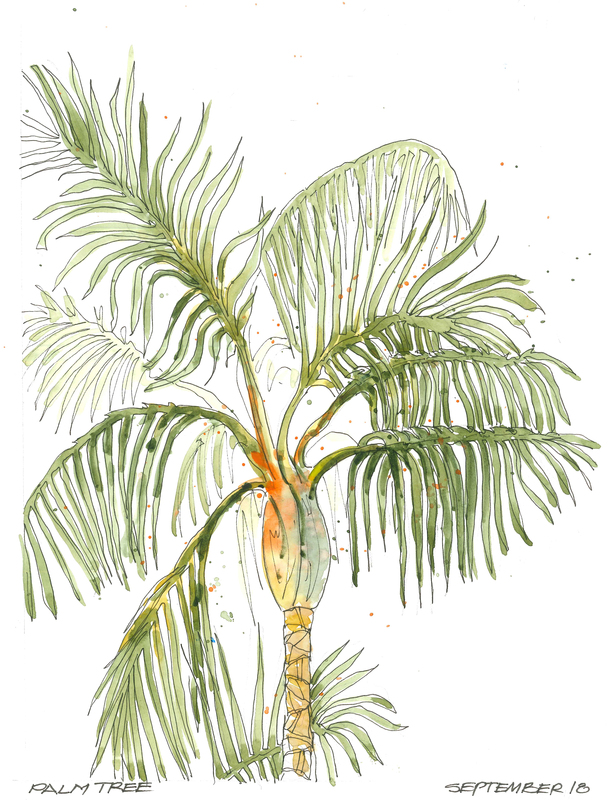 I an not go to Florida, even for a very short time without sketching a Palm Tree. Pilot Namiki Falcon fountain pen with Noodler’s Black Ink and Holbein watercolors in a Stillman and Birn sketchbook. I would have to agree….at least one palm tree.